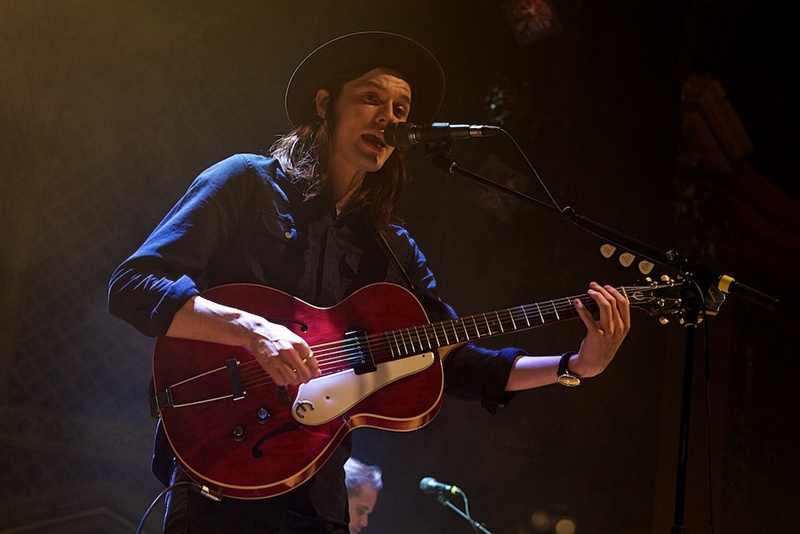 Unless you’ve been successfully hiding under a rock for the past few months, it’s become hard to ignore the track “Hold Back The River” from James Bay. 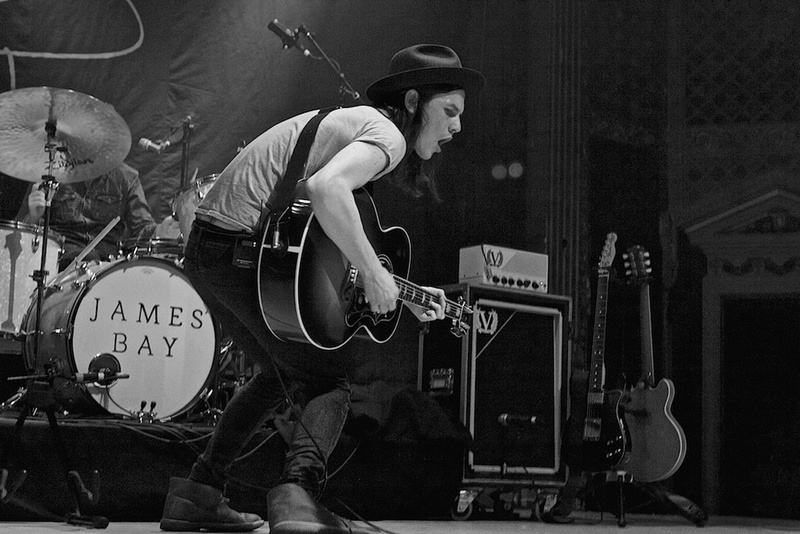 With the voice of a soul singer, awesome guitar skills, and a unique brand of lyric writing, James Bay is certainly holding his on in the singer/songwriter genre right now. Playing Denver for the first time this week, Robert Castro got the opportunity to see him play at The Ogden Theatre, and it’s safe to say that our whole team hopes he’ll keep coming to Denver as often as humanly possible. 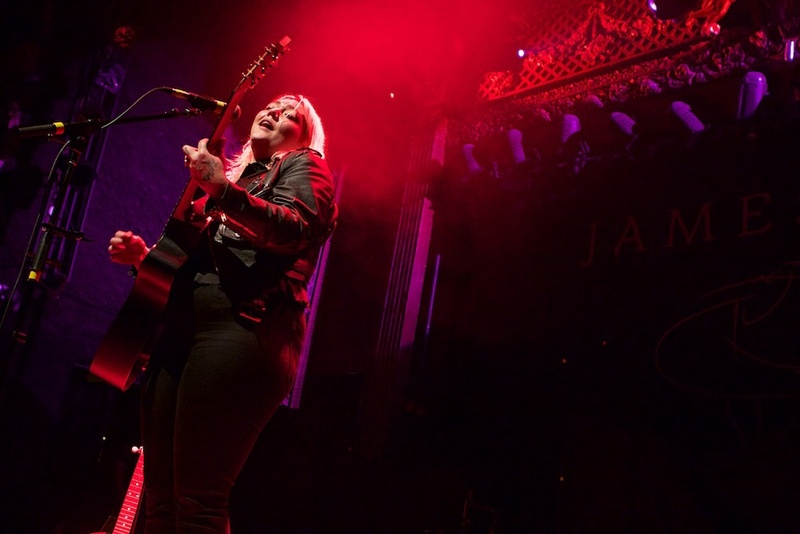 Opening the night was the young and budding vocalist Elle King. The “Ex’s and Ohs” singer appeared a few drinks into the evening by the time she appeared on stage. Blaming it on our city’s altitude, this didn’t stop Ms. King from luring the crowd into her snares with her soulful, almost rustic voice. Mentioning that many of her songs were based on an ex boyfriends, you could hear the passion in her voice as she sang songs like “America’s Sweetheart”, and an impressive cover of Khia’s “My Neck, My Back”. Her music is perfectly pop-kissed Americana, with hints of rock and roll and banjo-riddled blues sprinkled throughout. We are firmly impressed with Ms. King’s first performance here in Denver, and can’t wait to see her come back as “Ex’s and Oh’s” continues to skyrocket onto radio stations across the country. 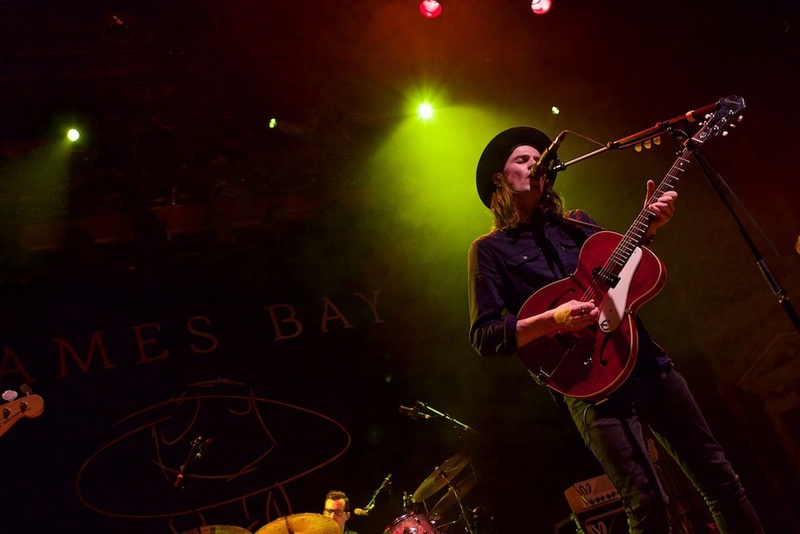 James Bay certainly held his own despite the impressive set from his opener. Backed by a bassist, drummer, and keys player, Bay’s set showcased his entire Freshman release Chaos and The Calm over the course of the set. Mentioning how happy we was to have finally released his record at the end of March, Bay was excited to have the opportunity to play his music for the world, and thanked fans throughout the night for taking the chance to listen to it. Playing a few songs solo in the middle of his set, the audience at the Ogden got the opportunity to hear the raw power of this Englishmen’s voice. The band re-entered the stage one member at a time to join him on the song “Need The Sun To Break”, a powerful and moving musical and visual build-up that peaked when the band to broke into the final chorus. Ending the night with an encore that included a crazy amazing cover of Alicia Key’s “If I Ain’t Got You” (complete with masterful guitar solo in the middle of the song), followed by “Hold Back The River”, the crowd seemed enthralled beginning to end of the set. 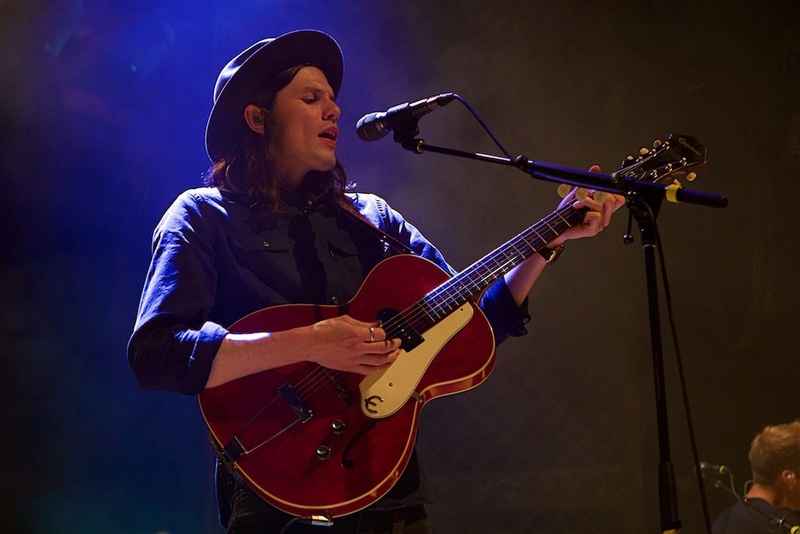 We got the opportunity to watch James Bay open for Hozier last October at The Fox Theatre, and it’s been so very great to see him these two very different settings, watching the performer grow from opener into a rocking headliner, holding his own. We don’t have a date for when Mr. Bay will next be back to Denver, but I do hope it’s soon. 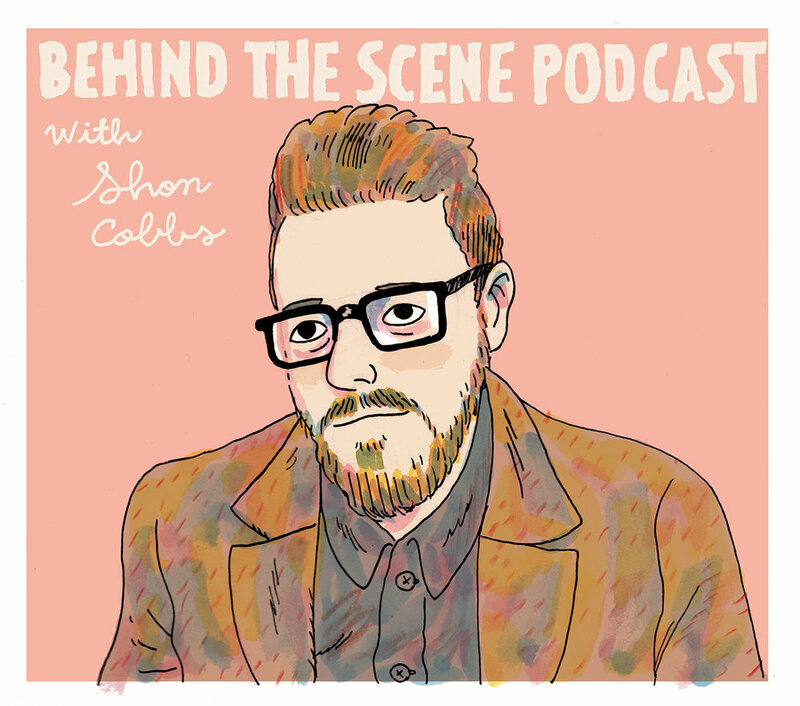 An impressive first record paired with an even more impressive live show has certainly sky-rocketed him to the top of our list of artists to watch throughout the rest of 2015.